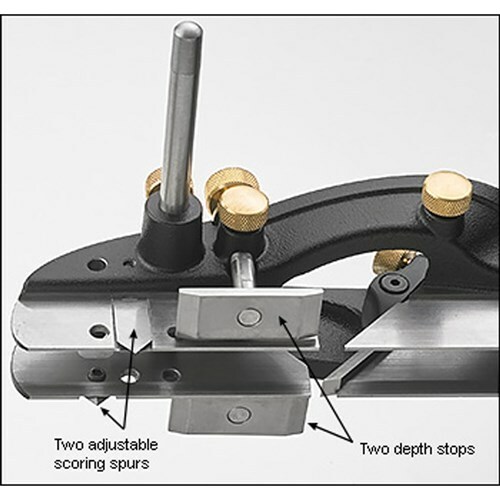 The Veritas® Combination Plane has a unique two part design, allowing it separate, accommodating different width blades, which makes grooves, or dados possible. A pair of scoring spur blades are used when cutting across the grain to prevent tearout, these blades sever the fibres, so allowing for the rabbet blades to remove the material in the middle cleanly. These scoring spur blades comes in a pair, and are mounted towards the front of the plane.